Sundays on Stage is a series of cultural programs featuring live performances by a variety of artists and entertainers. These family programs celebrate diversity through music, dance, storytelling, and more. Join us at 2:00 p.m. in the Montgomery Auditorium of the Parkway Central Library on select Sundays from October to December for these FREE and FUN programs! This fun-filled magic program will include a dazzling display of illusions, comedy, music, and audience participation. Let Poly WOW you and your whole family! 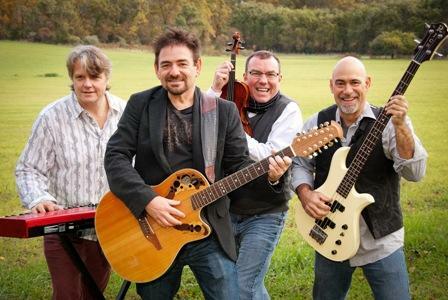 This Philadelphia-based musical group, specializing in Zydeco, Cajun, and classic New Orleans Rhythm and Blues will have you stomping your feet and dancing in the aisles! From Fandango to Flamenco, from the Courts of France and Italy to Madrid and the Gypsy camps, join the Alborada Spanish Dance Theatre in celebrating the shared heritage that is now the hallmark of Spanish dance. With colorful costumes and energetic dances, Spain will come to life. Join us in welcoming the award-winning children's recording artists Yosi and the Super Dads! Yosi's shows are whimsical and imaginative, featuring an enthusiasm that is both magical and infectious. For this spooky holiday-themed performance, the band will play in costume – children (and their grown-ups) are encouraged to dress up as well! 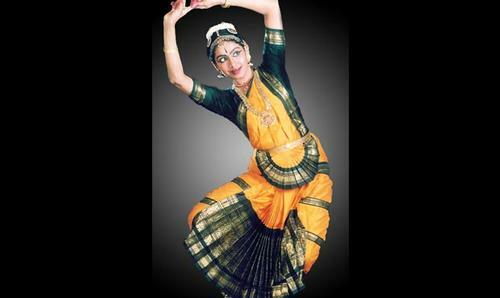 Born in Hindu temples over 2,000 years ago, Indian dance is movement, mime, and music in equal measure. Adorned with beautiful costumes, jewelry, and makeup replicating a temple sculpture, Ramya Ramnarayan and her dancers evoke the profound emotions and complex rhythmic patterns that bring this mystic view of the universe to life. The Libby Spencer Dancers are dedicated to the preservation of tap dance as an American art form through education, demonstration, and performance. Their objective is to inspire people of all ages, and to respect and proudly continue the wonderful legacy of this joyous dance through their performance, “Rhythms of Joy”! Enjoy stories that inform, educate, and enrich while celebrating the African and African-American oral tradition performed by the Philadelphia ensemble group, Keepers of the Culture. Pages to Pirouettes will perform an adaptation of The Nutcracker ballet featuring a rich cast of characters, wonderful costumes, and beautiful music! Sundays on Stage is made possible by funding from the Philadelphia City Institute Board of Managers. For more information or to join the Sundays on Stage email list please call 215-686-5372 or email SundaysonStage@freelibrary.org. For ten years I have been using FLP computers to access email, do searches, etc. Today for the first time I checked the info packed home page, clicked on a few sites and realized how dumb I have been. What a fantastic list of features, info, FLP services and offerings to the area. I think I can get my Red Hat Ladies to one of the Sunday programs. If not I will be there. I dont know how to use an Mp3 or the other electronics but you do and you are offering so much to those with access to internet. I am so excited to learn how much you offer. I have been mourning loss and cutbacks of services w/o realizing how much I can find online. Thank you for providing so much modernity as well as Rare Books, Music through the centuries, etc. FLP is books and so much more! Add a Comment to Sundays on Stage Fall Performances!